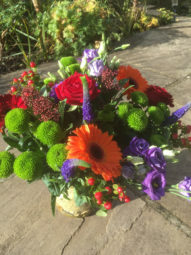 With apologies for the length of time since #48 – Know Your Heartsong – I’m here with a gentle reminder that negative emotions are not mental illness. Negative emotions are there for good reasons and are part of being human. We need to recognise and value them. In 2004 (I think!) 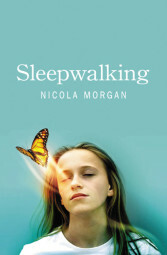 my 3rd teenage novel, Sleepwalking, was published. It looked at a future where, amongst other things, negative emotions were all “solved” with medication. No one had to feel sad, or angry, or anxious or scared. Some people, the Outsiders, rebelled against this sanitised, easy, ordered world, and valued all their emotions. As it turned out, something far more sinister was going on and Sleepwalking was a powerful call for the power of language and books. Won some prizes, too! Sadness. It is entirely right, natural and positive to be sad when something sad is happening or has happened. It’s about empathy. 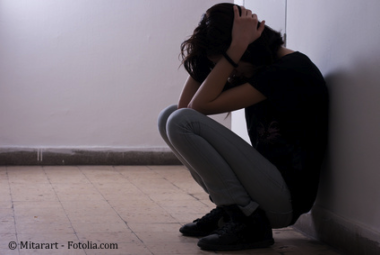 It’s part of being human that our mood is affected by sad things happening to us or the people we love. It’s painful, sometimes feeling overwhelmingly so, but its power changes and lessens and passes, eventually. The existence of sadness is right and proper and healthy. Yes, we may need to do things to lift our mood, to make the sadness manageable, to let it out, to ensure that its overwhelming nature doesn’t last so long that we can’t see an end to it. But being sad when sad things or thoughts happen is not a mental illness. It is not weakness. el or whatever. This anger is there to keep us strong, to help us face threats to justice or to our own self-esteem or success. It’s there to help us fight when fighting is necessary, to stand up for ourselves when that is required. Fear or anxiety. Fear and anxiety evolved to keep us safe. All animals have this reaction, though probably only humans have the cognitive ability to predict consequences, foresee distant risks, envisage our own illness and death. The ancient human on the plains of Africa, on hearing that a lion had killed a man nearby, should be anxious and afraid. That anxiety would keep the ancient human safe: he wouldn’t saunter out of the village alone; he’d take precautions, carry a spear, stay with friends, be super-alert to the movement in grasses. Fearing the dark, snakes, deep water, strangers, illness, being burnt by fire: all these and many more fears help keep us safe. So, value and respect these “negative” emotions and reactions. They are you being human. When do they become a problem? The person can’t control his or her reactions, either verbally or physically. Although it’s “natural” to want to lash out when we’re angry, we need to be able to restrain ourselves from doing so. If we don’t remain in control of our physical actions we can hurt people, hurt ourselves and get into serious trouble. Remaining in control of our words is harder and most people sometimes say things in anger which they regret. An occasional mistake like this, followed by an apology, is fine, but if anger is getting the better of us too often, it’s time to seek help. It happens a lot and perhaps for no specific reason – the person just feels angry without quite knowing why. In some people, more often boys and men, anger can be a symptom of depression. It’s getting in the way of good relationships. Relationships can’t easily survive through too much anger for too long. As I say, those are not medical tick-lists and will not give you any diagnosis. They are just a pointer towards when you might need to see a medically-qualified person. And they are there to underline that although sadness, anger and fear are all natural and positive emotions, in some people they can get out of control and cause longer-term problems. We can prevent many of those problems by noticing and acknowledging the emotions early and taking extra care of ourselves when we do. It’s called self-care. Remind yourself that this makes you human and that life is made of good times and bad times, good days and bad days, and that without the bad we won’t notice and love the good. Remind yourself that this is not forever: your emotions will change; this is how you feel now, that’s all. Take control of your breathing – see here. If you want to cry, cry; if you want to find a place to do that on your own, do so. Tears build up and if you don’t let them out at some point, you may find they will let themselves out when you don’t want them to. But if that happens, it’s ok. You’re allowed to be sad. 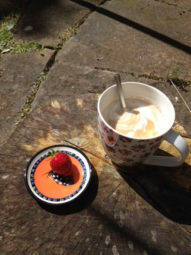 Treat yourself: a bath, a walk, coffee in the sun, shopping, flowers, half an hour for reading; maybe a day off, even? Notice the positive: say or write down three good things, either about today, or your past, or life, or someone you love – and that person could be yourself. You’re human: you’re emotional. You’re part of life in all its richness. It takes loss or lack to appreciate presence. If we had no sadness, we’d never notice happiness: they are two sides of the same coin. Life.